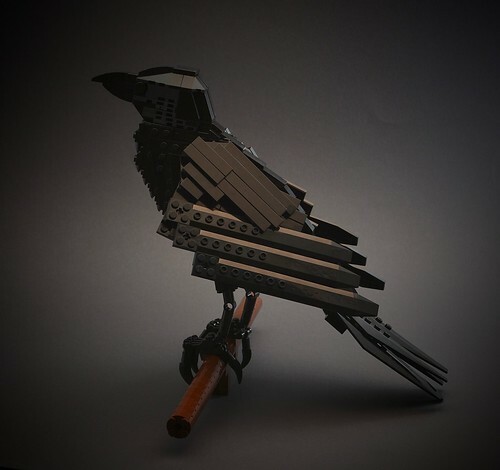 Munin (memory) - the other raven of Odin. Wings and tail are identical to the first raven, but different head and body shape give a more upright position when it is sitting. The functions are also identical. Tail and wings can be spread out, head turned and legs moved.